We just made the banking operations a whole lot easier. 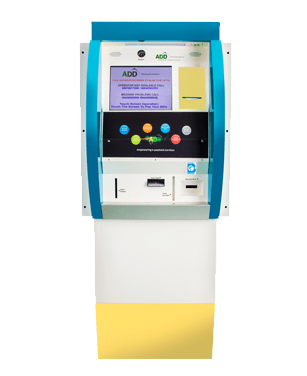 ATCD are cutting edge cash/cheque management systems, which shift heavy counter transactions to a self service zone. With strong capacity and latest technology, they are capable of supporting high volume transactions and thus deliver advanced and reliable service to customers, including value added services for different scenarios.Certified with global, proven security standards,ATIL provides enhanced multi-layer and physical protection solutions to minimize fraud and boost customer confidence. Our 24/7 ATCD diagnosis, monitoring and management software solution enables administrators to control the entire cash/cheque management process on a PC or mobile and take precautionary measures, thus always assuring maximum machine uptime. User-friendly design, large screen and voice-operated guidance that impresses first-time users.